Mon., July 23, 2018, 10:28 a.m.
A 46-year-old woman was impaled Sunday in Ocean City by a beach umbrella in what appeared to be a freak accident, according to a spokeswoman for the resort town. The woman, who was visiting the beach from Pennsylvania, was in stable condition Monday, according to Jessica Waters, the spokeswoman. The incident occurred about 3:30 p.m., on the beach near 54th Street in the popular resort town, after an umbrella was apparently uprooted and swept away by a gust of wind. “Witnesses said one gust lifted the umbrella,” Waters said. She said the sharper end of the umbrella shaft, which is used to plant it into the ground, impaled the woman in the chest. It was not clear how deep a wound it caused. Waters said paramedics cut off part of the shaft to facilitate transportation to a hospital. The woman was said to be conscious after the incident. Waters said her injuries were non life-threatening. She said the beach patrol tries to inform visitors of the importance of not leaving umbrellas unattended and of planting them firmly. 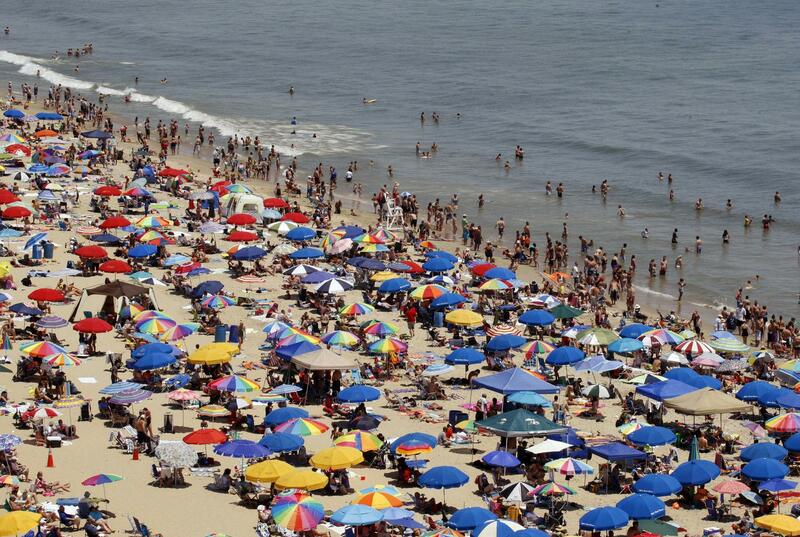 The Ocean City Beach Patrol has tips on how to safely secure and operate an umbrella. One of the main pieces of advice is to never leave an umbrella unattended. If you’re taking a break for say lunch, take down your private umbrella, experts said, or if it is a rented umbrella, let the operator know you are leaving. Put the base 18 to 24 inches under the sand to make sure it won’t be swept away. Once it is in, tilt it into the wind and not against the wind. Beach experts said that if an umbrella hurts somebody and it could be determined that you own the umbrella or rented and adjusted it after the operator put it in the sand, you can be held at fault. Published: July 23, 2018, 10:28 a.m.